City’s Youth Crowd Missing! TYW found them here. Flavours 24 – The Yogurt Destination ! TYW presents a list of five most happening cafes, famous amongst youth of the city. Highlight: They serve awesome food, unique experience in soothing and appealing ambience. Taruveda has recently emerged as one of the most popular hangouts for the youth of the city as its not just a cafe , its an experience. If we talk about food it offers a variety of coffees, sizzlers, sushis and other selected delicacies from around the world. The place is not just about the meals, it also has a luxurious home lifestyle store. The cafe has indoor as well as outdoor seating (AC equipped) and the place is done up in such a sober yet cool way to promote organic living with lots of plants in and around including the name of the cafe and the wall paint. 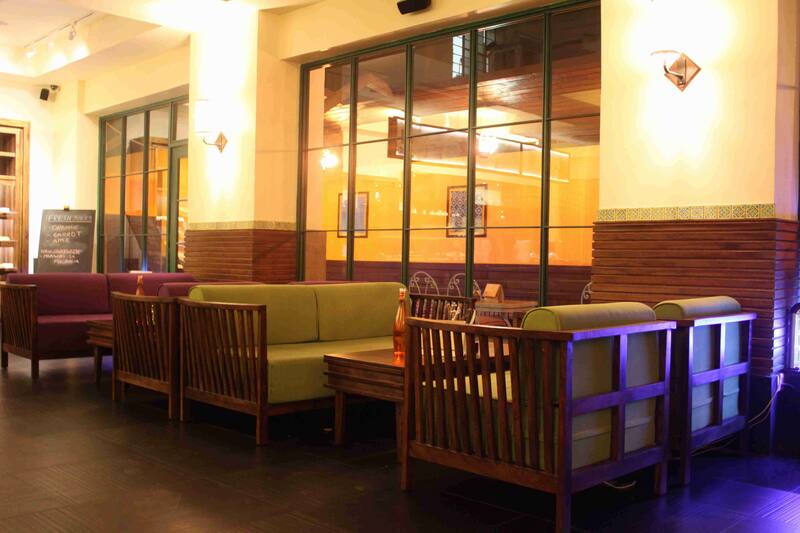 TYW recommends Taruveda Bistro for food, ambience & to escape from the chaos. TYW recommends: lava lava cake, Tofu burger, waffles, tea infused creme brue, d-constructed falloda, mangalorean spiced chicken, jungle mass steak, mysore raw fish and pomfret rechedo. On The House cafe is a bistro and bakery, located right in the heart of the city. The ambience is cool and nicely done with an option for outdoor seating. It’s presentation is a surprise package for the tourists as well as a hit amongst the youth. The place is crowded even on the weekday afternoons. TYW recommends: Coffee, alfredo pasta, veg.burrito, taco’s, potato steak with cheese sause, cheesy mushrooms, lasagne, chicken ceaser salad, mexi lamb with rice,chicken tikka sandwich crunchy oreo cafe, snicker shake & mango cheese cake. 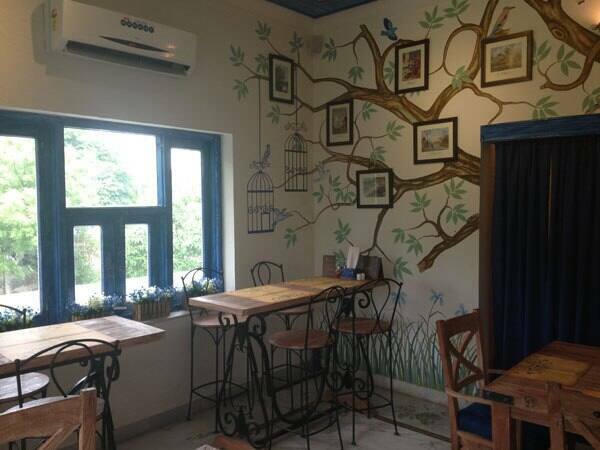 Skywaltz cafe is located on the Delhi-Jaipur Highway, almost 45 mins drive from Jaipur. Uniquely designed cafe , takes its inspiration from the hot air ballooning (skywaltz is the firm which operates hot air balloon in jaipur, ajmer and lonavala). The cafe’s interiors and even the exteriors are a treat for the design lovers. Cafe serves Italian cuisines, shakes and limited Indian dishes as well. It’s one of those places, where you can go, chill-out and of course you get to go on a sweet long drive for making it to this place. Best part: it’s open round the clock. TYW recommends: Pizzas (wooden oven baked), oreo shake& dabbawallah(it’s like an Indian Thali but servred in a steel tiffin) and lots of selfies. Brown Sugar cafe is a chic and cool cafe in the heart of the city. Its a bakery with proper cafe seating (outdoor as well as indoor). It has drawn its inspirations from the Portugal architecture. The best part is they serve awesome food yet genuinely ask for each customer’s feedback. TYW recommends: kiwi lemon sparkles, masala lemonade, basil strawberry iced tea, peanut butter shake, cappucino, cheese fondue, cajum Potato, paneer makhani pizza, cheesy nuggets, burritos, chef style lasagne& peshawari paneer tikka sandwich and selfies with the yellow scooter. Lazy Mojo is quite young itself and its popular amongst the youth as its not just a cafe it’s a lounge which is so spacious that you can easily chit chat with your friends for hours. The cafe even has a very good outdoor seating space. Located very near to the airport and World Trade Park. The place reminds of the cool cafes one can find in Bengaluru and Pune (less alcohol). TYW recommends: Malaysian delight, oven baked nachos, baked veg., Risotto, cappuccino, and shakes.